It's Just Mobolaji | Music & Entertainment: Introducing... Dez + New Mixtape "Real Talk"
Introducing... Dez + New Mixtape "Real Talk"
I recently found out about new R&B crooner - Dez when I was on YouTube and I came across his video to his single "We Ride" and I liked what I was hearing/seeing..
Dez who goes by the real name Dezmond Armstead currently hails from Los Angeles is an upcoming R&B artist. Dez who has worked with producers such as The Movement. The Movement are known for their double-platinum production to Justin Bieber's hit single "One Time" as well as Jesse McCartney's "Leavin" and so much more to name a few. Dez met The Movement when he first moved out to Los Angeles and has been working with them ever since. With over 350,000 YouTube views - Dez covered Beyonce's, Frank Ocean penned song "I Miss You" gaining a lot of recognition on YouTube, social networking sites and on blogs. "I wanted to tell MY story. About trying to get girls in high school, failing, suceeding, the good times, the bad times and the hurdles that young guys and girls go through on that journey to finally find that special someone. We are all about that realness. So that's why my mixtape is called REAL TALK." You heard it from Dez yourself! I love Dez's sound, He keeps it 100% R&B throughout this whole mixtape, bringing back that pure R&B sound that the music industry is missing right now. 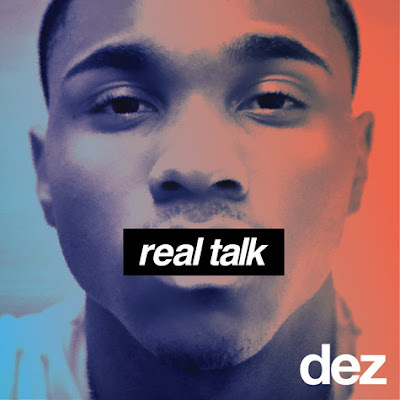 Dez features ex-rapper MA$E on his first official mixtape. The mixtape ranges from slow jams with "Underneath Me" to that old skool type flavour with "Can't Get Enough" ft. MA$E. Listen/Download/Stream his anticipated mixtape REAL TALK below!